KDA (Kube Design Architecture) designs all types of houses according to the architect’s imagination and the aspirations of its client. 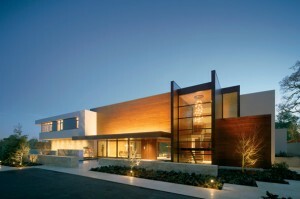 Contemporary houses reflect a trendy and fashionable way of life and a certain desire for sobriety and refined lines. Natural light fills simple glazed spaces, sharing their exterior colours in an interior atmosphere. In this way, daytime areas stand out from nighttime areas with different orientations and different lighting strengths. Lighting is added to increase the architectural aspect of the building bringing the most important elements, enhancing the designer house, becoming an impressive construction, a beautiful house, a beautiful architectural creation that will make the family that lives there proud, using the services made available to them day after day, year after year. Walls are smooth, straight, curved, always balanced with the landscape, a connection to the sky in harmony with the place and the view. Modern materials and techniques combined with advanced technology allows the best possible management of the living space with home automation, energy saving and resource optimisation systems. Lets not forget that designer houses are expensive and not necessarily accessible to all. Modern materials and advanced home automation technologies are costly, their maintenance also; that’s why KDA involves design offices, manufacturers and businesses in their projects with a unique approach to construction techniques, minimising maintenance costs so that the building, house, apartment block, palace, dwelling, transcends time whilst preserving its distinctive features.